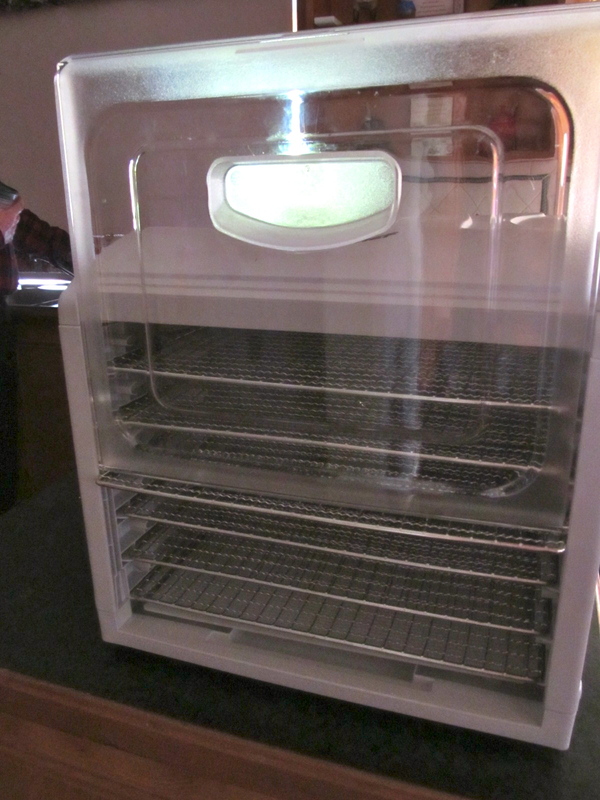 Speaking of bread baking things – meet my new best (bread baking) friend. 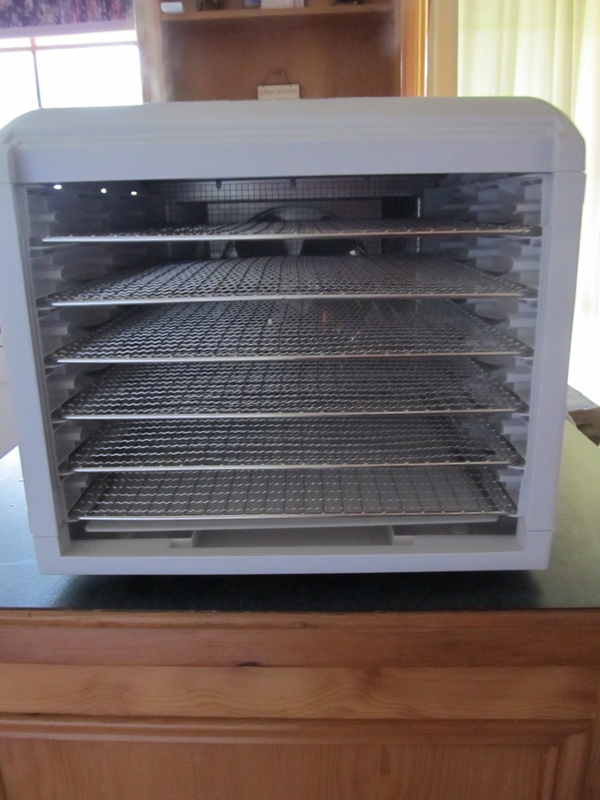 I bought this dehydrator from Teros in Hobart a week or so ago. I admit it was love at first sight – a dehydrator that would be easy to clean with really good capacity, and metal shelves instead of less than durable plastic. I know it will be used almost constantly over summer. However, it has other uses as I found this week. Just before the bread baking class, my trusty microwave/convection oven in the house died an irreparable death. I have always used it to rise doughs before the class so we can have some ready to shape and bake soon after the class begins. I’d noticed that my newly acquired dehydrator had a setting for rising bread. Why not? There certainly was a bit of a chill in the air at 6am on Saturday, and the sweet yeast dough would undoubtedly appreciate the extra warmth. Well, I have to tell you, it was absolutely amazing! Worked better than the microwave convection set to 40 degrees – the way I usually speed up the rising. This dehydrator also has a setting for yoghurt, so I’ll be trying that for sure. I’m afraid the photos don’t do it justice, especially the one with the door half raised, but you will get the drift. I don’t normally recommend any particular product, but what a versatile and efficient machine this is! It was quite inexpensive as well, especially compared to other dehydrators. As I said, my new best baking friend. Could you possibly tell us the brand name of your new best baking friend, please, Sally? As I’m in the market for a new dehydrator that is easy to clean and those extra features would come in handy for me also. Hopefully, I can buy one over here in WA or if necessary online. I do so enjoy reading your blogs and books! It’s a pity Tassie is so far from WA – the last time I was there was 1982. Actually by enlarging the photo I see that your new dehydrator is a BIO CHEF and can be purchased online if I can’t find it in Perth.